GUNDER —Ron McCartney wears several hats with the Turkey River Watershed Management Authority. He is WMA secretary/treasurer, a Clayton County supervisor, and he farms land impacted by Turkey River flooding. 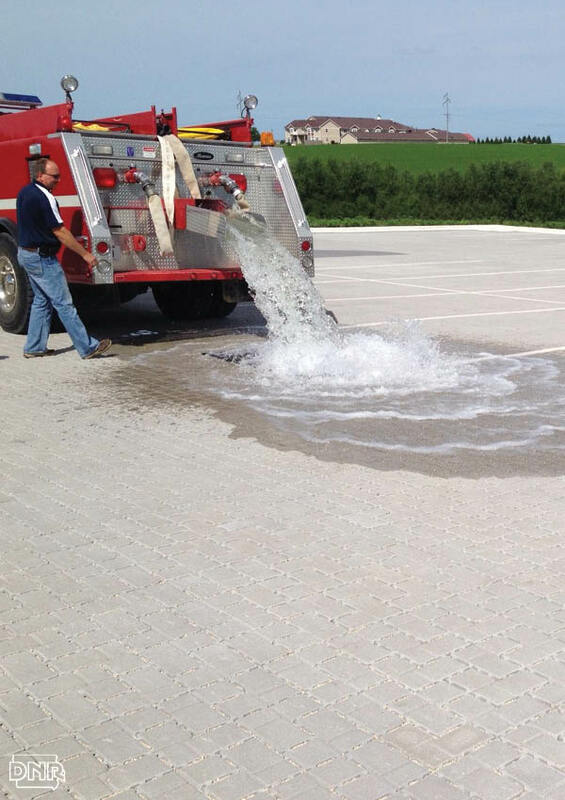 The Turkey River Watershed Management Authority is working on a five-year pilot demonstration project with IIHR – Hydroscience & Engineering at the University of Iowa and the Iowa Flood Center. The project’s goal is to create state-of-the-art hydrological modeling of the water flowing through the Turkey River Watershed, said Lora Friest, executive director of Northeast Iowa RC&D in Postville. The Turkey River Watershed Management Authority met on March 28th at the YMCA in Postville. Approximately 60 attendees, including the TRWMA Board, listened to presentations given by NRCS Iowa State Conservationist, Jay Mar and Larry Weber, the Director of IIHR Hydroscience and Engineering and Iowa Flood Center. 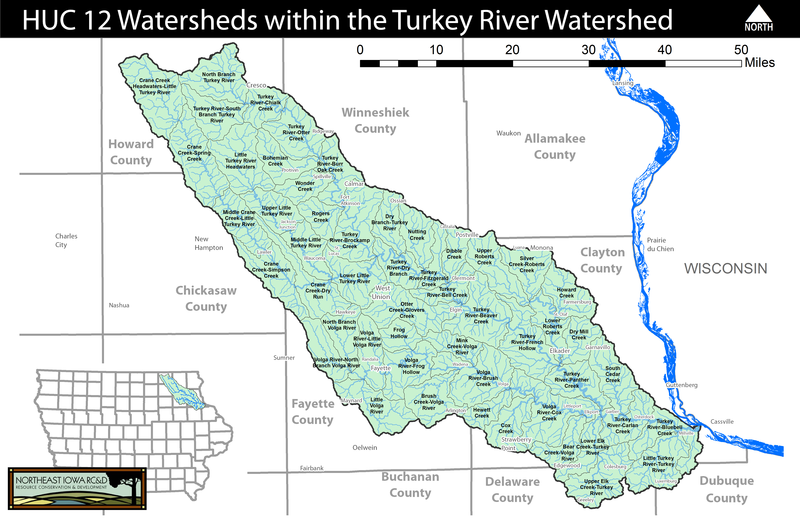 As our comprehensive watershed planning process begins in the Turkey River Watershed and the Iowa Flood Center (IFC) looks to implement a Watershed Demonstration project, it has become apparent that we need to start identifying sub-watershed projects in the Turkey River Watershed for both the comprehensive watershed plan and the IFC watershed demonstration project. Innovative research on northeast Iowa’s Turkey River may herald a breakthrough in state efforts to mitigate future flood damage.